The Trump Taj Mahal casino resort is seen in Atlantic City, New Jersey, on May 8, 2016. Carl Icahn brought down the curtain on Republican nominee Donald Trump's tenure in Atlantic City, New Jersey, today. Icahn, an activist investor and Trump supporter bought the Trump Taj Mahal casino resort and some other properties out of bankruptcy in 2014. 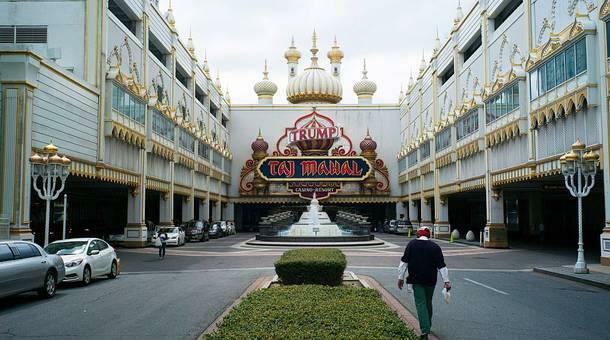 "That spectacular, colossal monument to supertackiness will determine its own success or failure," says an New Jersey Monthly story from the Taj's opening in 1990. "Either people will find it the most exotic locale on the East Coast and swarm to it, or they'll find it too big, too loud, too garish, too Trump, and stay away in droves." Well today, enough was enough. Icahn said he'd lost $350 million, and that he was shutting it all down. It's worth noting the casino was in the middle of a labor dispute, and 3,000 people we laid off.